Cuttack is the second largest city in the Indian State of Odisha. Cuttack RTO is founded as per the provisions of the Motor Vehicle Act of 1988 and other applicable laws. It is governed and headed by the Transport Commissioner of Odisha. 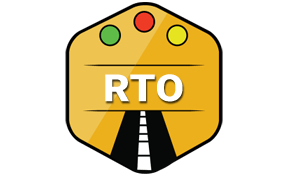 Cuttak RTO is the key contributor in managing the transport and traffic rules and regulations. Issuing Learning License for the people who are beginners in driving. This license is valid for the period of just 6 months. After that, it must be renewed. Granting driving license to all the people who are 18 years old and above. After permission from parents, the license can be issued at 16 years also but only for the light vehicles. Assisting in License Renewal after the expiry. Driving License is usually valid for the period of 20 years. After that, it must be renewed. Driving License that is expired is not considered valid and is punishable. Managing Vehicle Registration for any new vehicle purchased in Cuttack. Cuttack RTO issues Registration Copy(RC) in very less time if all the documents are complete & precise. Issuing No Objection Certificate (NOC) for all the vehicles coming from another state to the city of Cuttack. Conducting both theoretical and practical driving tests for driving license process. Managing Vehicle Emissions Tests to issue Vehicle fitness test. Providing special badges to all public transport drivers. Authorising Road Permits, renewal etc. The penalty for the traffic violation. Collecting applicable Vehicle Excise duty. Legal Action against any prohibition of transport law. Enactment of Motor Vehicle Act of 1988 & other applicable laws. The Regional Transport Commissioner, Transport Authority, 6th floor, Rajaswa Bhawan, Cuttack, Odisha - 753002.